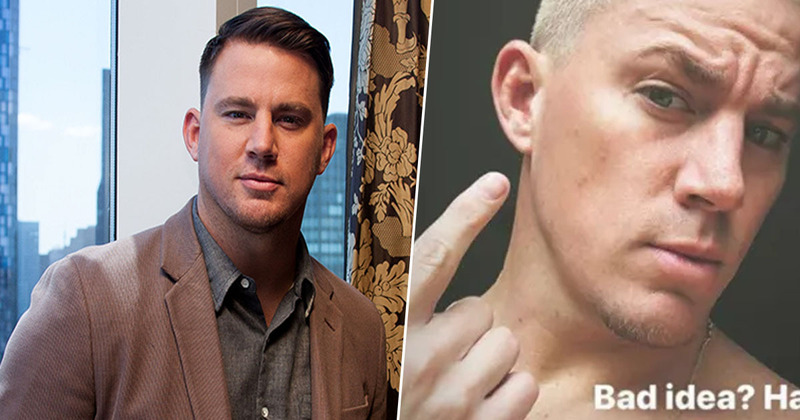 Channing Tatum – an actor apparently adored by fans for his swept back brunette aesthetic – has dyed his hair blonde and said fans are divided. 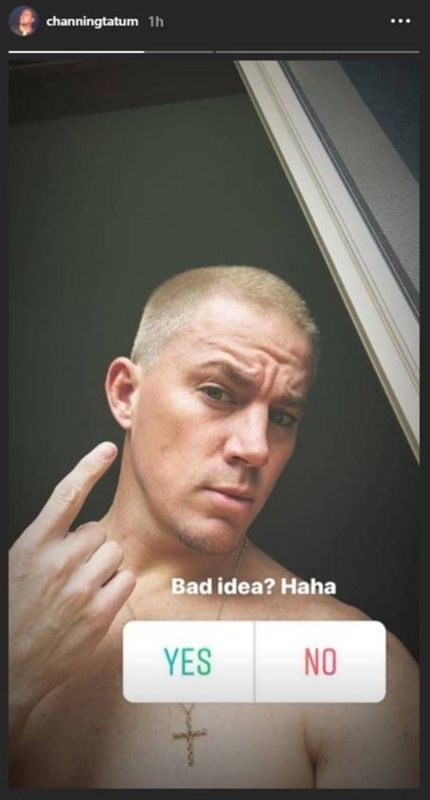 Tatum himself seems unconvinced by his new ‘do, cautiously revealing his new lid on his Instagram Stories with a little poll asking whether or not it was a bad idea. So, for those of you who have clicked onto this article for a little light escapism from the other frankly terrible global news stories, please take some solace in the fact that even objectively attractive rich and famous people get the post haircut scare. But let’s get down to brass tacks: As of yesterday (Tuesday 19 March) afternoon, 59 per cent of his followers responded with a ‘yes’ vote – meaning they thought it was a bad idea – and the remaining 41 per cent with a ‘no’ vote – the equivalent of a praise hands emoji. It’s basically the Brexit of bad hair cuts, according to the Internet Jury, who seem pretty split over the short back and sides and top. There’s something of the Eminem circa 8 Mile about the chop, wouldn’t you say? He’s given his dyed blonde locks the old buzz cut, a la Amber Rose and Zayne Malik, who have sported similar styles, as well as his character, Jason Lyle, in Coach Carter. Tatum’s specific style inspiration remains unclear, at time of writing. He did, however, cite a 2003 Sean John runway show look in a previous post. More will no doubt follow on this. As we eagerly await the rationalisation behind this move some observers have called ‘bold’ – is it for a new film perhaps or is Tatum simply exercising autonomy over his own follicles in an aggrandised political statement or did he literally just get a haircut? – we can look back on previous examples of Blonde Channing with baited breath. In 2014, the 21 Jump Street star sported a lighter color and longer locks while visiting Peru with then-wife Jenna Dewan. In news which I’m sad to say is relevant because of the hairy nature of this article, it is my duty to tell you Tatum, 38, is now dating Jessie J, 30, who has rocked a blonde buzz cut in the past. Meanwhile, despite asking for the validation of his fans, the Magic Mike actor seems at peace with his decision, which is more than you can say for some Brexiteers. I would protest, but I’ve seen Step Up 2: The Streets.